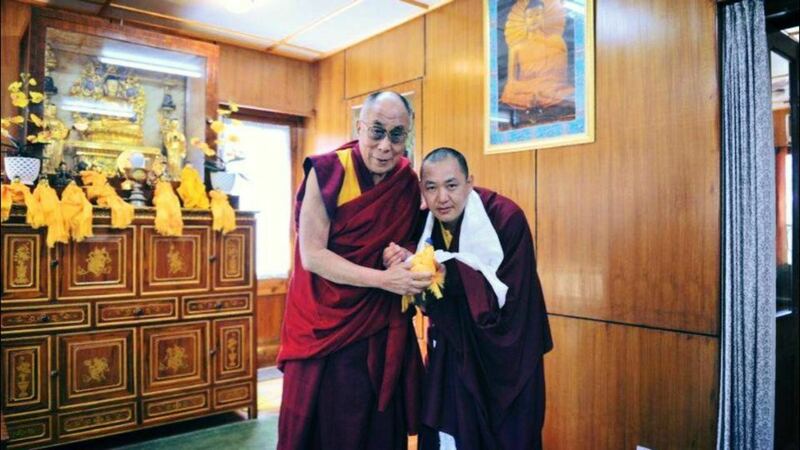 Rinpoche has a long meeting with His Holiness the Dalai Lama at his seat in Dharamsala. Among other things they spoke about Rinpoche’s past life connection with His Holiness, an important part of which was the donation of the land for Rinpoche’s Jangchub Choeling Monastery by His Holiness. Rinpoche received the Kalachakra transmissions from His Holiness.